4WD tracks, 4x4 campsites and 4WD clubs for going offroad. Find great 4WD Tracks If you're looking for a good route, you've come to the right place! Looking to go offroad in your 4x4? You've found the right place. 4x4earth is Australia's largest free and independent 4WD website. You'll find 4x4 tracks, 4x4 campsites, and 4WD clubs. We've also got the 4x4earth podcast, the largest Australian produced automotive podcast. Join the over 200,000 people who use 4x4earth every month to better enjoy our beautiful country. 4x4 Earth campsite finder helps you to find all the best campsites around Australia. With detailed descriptions and up-to-date comments, you'll find everything you need to know before you set out on your trip. Get the most out of four wheeling and join a club! 4x4 Earth club finder helps you find the best club around Australia. Australia's most complete list of 4WD tracks near me. Find all the best 4x4 tracks before you set out on your next adventure. Use the map to zoom in or, hit Advanced Search. 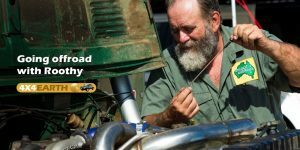 Australia’s most complete and detailed 4WD track database. Find all the best 4×4 trails before you set out on your next adventure. Use the map to zoom in or, hit Advanced Search. 4×4 Earth campsite finder helps you to find all the best campsites around Australia. With detailed descriptions and up-to-date comments, you’ll find everything you need to know before you set out on your trip. Get the most out of four wheeling and join a club! 4×4 Earth club finder helps you find the best club around Australia. 4x4 gallery consist of amazing photos from the community. These photos are all submitted by our members. You can browse different categories from scenic to camping to people. If you have amazing photos to share, add them here. Don't get left out, find out more about 4x4Earth Sign Up Today!